I've loved to write since I was a kid. I was 9 when I wrote my first short story. I started actively doing freelance writing about 15 years ago. I began by writing stories for an inspirational book series called God Allows U-Turns. It is similar to Chicken Soup for the Soul. I also wrote articles for a local Twin Cities newspaper. The title of my first book is called "Taking the Cross". It releases Aug. 1, 2014. It is being published by Koehler Books in Virginia Beach, Virginia. I have always loved reading about history. When I was in college, I came across a book that was about the crusade against heresy in France in the early 13th century. I had never heard of this crusade before, and it piqued my interest in this time period and the region of the Languedoc in Southern France where the crusade happened. It was the first time a crusade was unleashed not across the sea, but in the very backyard of the Catholic Church. It involved Christians fighting Christians, one side wanting to kill heretics and the other side seeking to protect the different groups of so-called heretics. My initial inspiration in writing "Taking the Cross" was an attempt to answer a question: Who were the real Christians in this horribly confusing time? I also wanted to bring alive a fascinating and important period of history that few people have heard about before. The book follows the same format as "Cold Mountain", in that the chapters alternate back and forth between the lead male and female characters, who are apart from one another as a war rages. Though, I hadn’t even heard of "Cold Mountain" until I was nearly finished with "Taking the Cross". Also, Andreas and Eva, the two main characters in my novel, have not yet met as the books opens. Like I mentioned before, it will be releasing Aug. 1 of this year in both printed and e-book form. Question: How many total books have you pub-lished? "Taking the Cross" is my first novel to be published. What I originally envisioned as one novel called "Taking the Cross", ended up being over 600 pages long. When I submitted it to my publisher last year, they asked if I would be willing to break it in half, since the maximum length of the books they publish is around 300 pages. It just happened to work out that it does break very nicely in half. I didn’t plan it that way. So I have already written book two in what I hope will become the "Taking the Cross series". The publication of book two depends on the success of book one. I don’t have any dates for the second book yet. 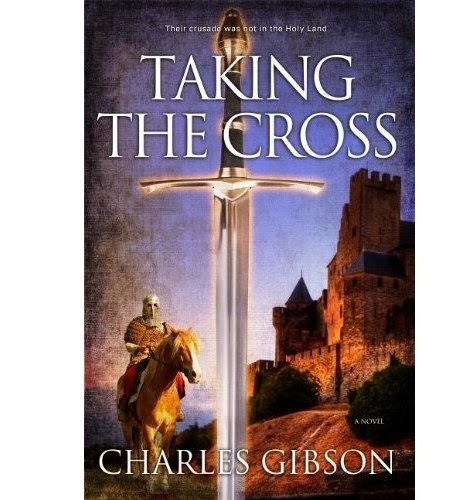 While book one of "Taking the Cross" takes place during the summer of 1209, book two takes places during the summers of 1210 and 1211. It does not have a title yet. It picks up the story of the two main characters, Andreas and Eva, a year after the ending of the first book, as they seek to fight back against the continuing crusade against heresy, also called the Albigensian Crusade (one center of the heretics was the city of Albi in France, so they were called Albigensians, also known as Cathars. The other group of heretics in "Taking the Cross" is a group called the Waldensians). 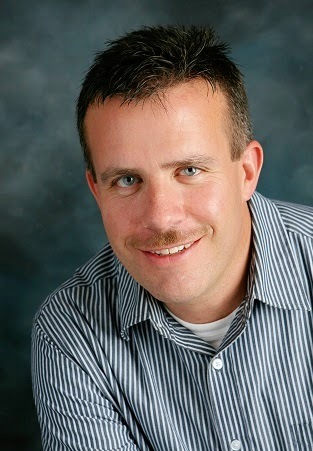 My website is www.charlesgibson.net if you’d like more information. My e-mail is cg@charlesgibson.net. Your book sounds really interesting. I am always fascinated with a book that deals with history in some form, especially, history that generally has never really been discussed because usually what we find in our present day has a lot to do with what was in the past. I'll definitely be checking out your book when it comes out in August of 2014. Good luck with this project and thanks for the interview.